Chengdu, China’s largest frontier city in its ethnically diverse Western region, is a juxtaposition with many interpretations. This multi-faceted capital lies in the heart of Sichuan, a province lush in bamboo groves, and home to the beautiful UNESCO World Heritage Jiuzhaigou reserve, and the biggest panda sanctuary in the world. Sichuan is a bustling, diverse cultural hub, where ethnic minorities such as the Yi, Tibetan and Qiang have lived side by side for centuries. In the midst of this diverse province lies Chengdu, often called the “rice bowl of China” partly due to its significant agricultural background, but also named for its peculiar geography. 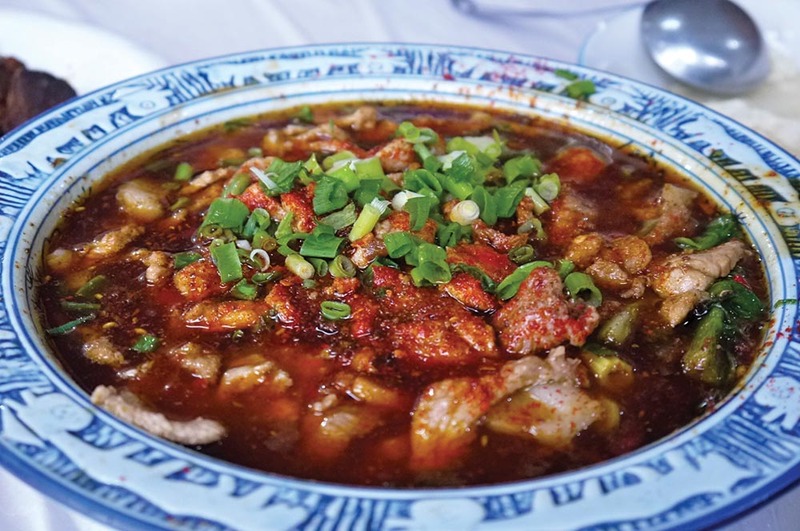 Its “bowl-shaped” landscape means that Chengdu is often tucked under a sleepy blanket of mist, so it comes as no surprise that the iconic Sichuanese cuisine is designed to shock and awaken the senses with spectacularly fiery chills and mouth-numbing peppercorns. 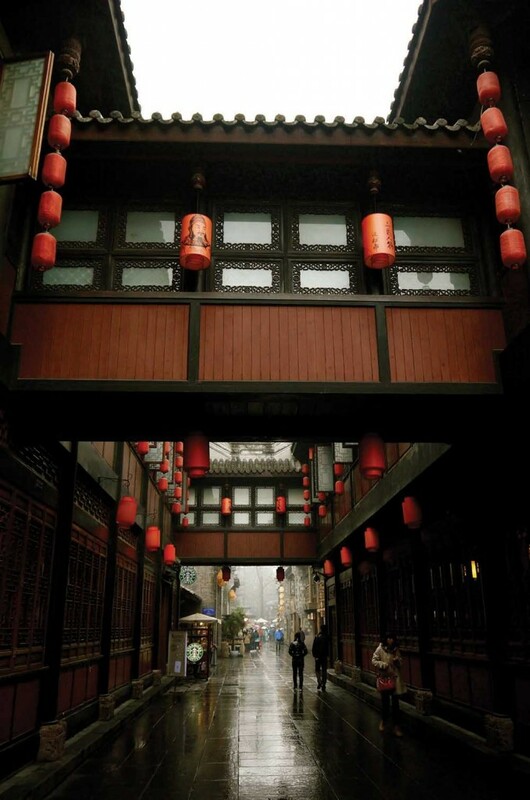 Chengdu residents enjoy life with a particular brand of finesse, and teahouses echo with the clack of mahjong tiles to the cheery cadences of the Sichuanese dialect. This gateway city to the Western territories also holds a special place in my heart, as my family have been doing business here for over a decade, and we also own a residence here. 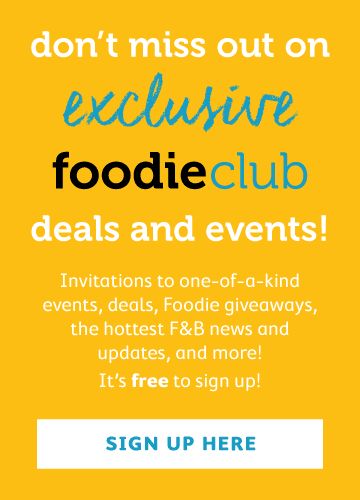 So come along with me on this spice trail to explore one of my favourite cities in China. Founded in 1992, Gingko Restaurant is possibly the most well-known Sichuan cuisine restaurant in Chengdu, and that’s saying a lot in a city that prides itself on formulating one of the “great culinary traditions of China”. Since opening its doors more than two decades ago, the restaurant group has expanded to four locations and a clubhouse around town, although the Wuhou District venue remains our favourite. Gingko Restaurant is revered by tourists and locals alike, and we particularly love their fragrant tea smoked duck (樟茶鸭) and dan dan noodles (担担面). The savoury, tender duck is layered with the perfect amount of succulent fat, and infused with the intoxicating perfume of tea. When paired with plump, steamed buns (mantou), I dare say it can almost rival my favourite Peking duck. The spicy, tongue-numbing dan dan noodles are also a specialty here. Gingko would probably be the best restaurant to get an authentic representation of Sichuanese cuisine. I can’t go to Chengdu without visiting JinLi. This little district in the heart of the city echoes with nostalgic charm. Grey slate-paved lanes lined with boutique shops adorned with intricate, dark wood carved doors and red lanterns weave around a tranquil garden setting, complete with a small koi-filled pond. During Chinese New Year, locals tie red ribbons sprawled with their best wishes for the coming year on an ancient tree by the waterway. I love the food stalls here, and would often spend an afternoon hopping from stall to stall, indulging in my favourite street foods. Steam baskets of fresh tofu topped with crushed garlic and chillies compete with fat skewers of lamb rolled in cumin and peppercorn. Feasting is often interrupted by startling bangs, which to an unseasoned ear, sound like gunshots. These are actually created by the 三大炮, a local dessert made by striking rice balls against a metal gong so hard that the rice ball then bounces off the gong in much fanfare into a plate of sweet soybean powder, making for both a spectacle as well as a delicious treat. The first time I had Sichuan hotpot, I was stunned. What arrived at our table was a pot filled with solid lard rather than soup base! As the contents slowly heated, the pork lard transformed into a rich broth perfumed with spicy notes of chili and peppercorn. Wafer-thin slices of beef, pork, and lamb are then dipped into the bubbling cauldron, alongside frozen tofu, Spam and glass noodles. Everyone can customise their meal by selecting their favourite ingredients to cook. What came as a second shock to me was the traditional dipping sauce. Unlike Northern Chinese hotpot, where we use a mixture of soy, fermented tofu paste, and chive paste to create the dipping sauce, the Sichuanese go all the way with bowls of sesame oil flavoured with salt and crushed garlic. The oily dipping sauce is definitely not for the faint of heart, or anyone watching their weight. Ironically, although the Sichuanese consume a huge amount of oil in their daily diet, you don’t see anyone overweight in the city. They take pride in this fact and attribute it to their liberal use of chili peppers, which they claim melts away the fat! If you are planning to head out to another event after eating hotpot, remember to bring a change of clothes as the scent will permeate and cling to your clothes! Visit: Leshan Giant Buddha, created during the Tang Dynasty (618-907) by a blind monk who dedicated his life to carving a ginormous stone buddha out of the entire face of a mountain. If you have more time, stay a few days at UNESCO heritage park JiuZhaiGou for out-of-this-world natural beauty. Only a limited number of permits are released each year into the park as a measure to protect this unique habitat, so register early to avoid disappointment. Cuddle: Get a close up view of one of the most endangered, and cutest, critters on earth! The Chengdu Panda Breeding Sanctuary is at the forefront of the battle to keep these adorable bears off the extinction list. If you visit during birthing season, you can see baby pandas tucked under pink and blue blankets in specially made cribs. Older, rambunctious cubs can often be seen tumbling off their bamboo-tasseled playgrounds, or taking a nap in a nearby tree. Entertainment: “Face changing” is a mysterious art form passed on through generations of dedicated performers. On stage, performers dressed in traditional Chinese opera attire switch between elaborate face masks with the sweep of the hand. It literally takes only a nano second for the masks to be changed, and the technique is a highly guarded secret that can only be passed on by Masters to worthy pupils after years of training. 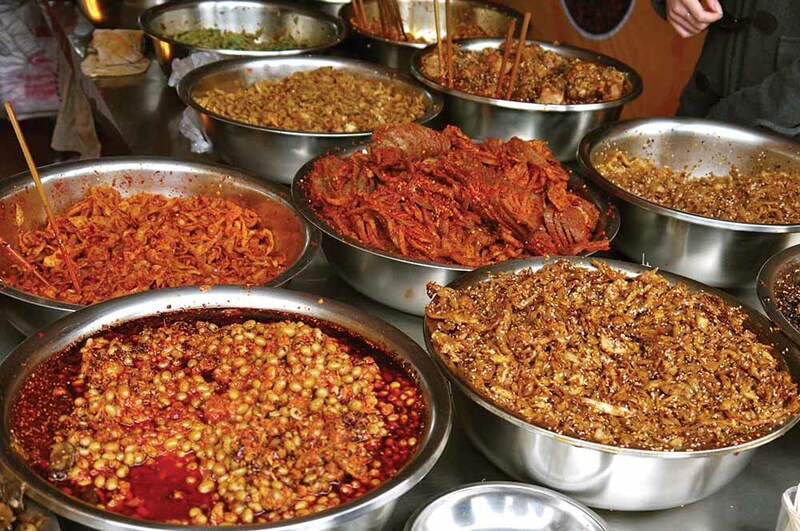 Buy: Bring a piece of Sichuan home in the form of cured meats or chili oil. Better yet, steam the cured meats over rice, then drizzle with chili oil for that quintessential Sichuan flavour. The chili oil is made by flash frying chili powder in a huge vat of hot oil, a feat not easily achieved at home.